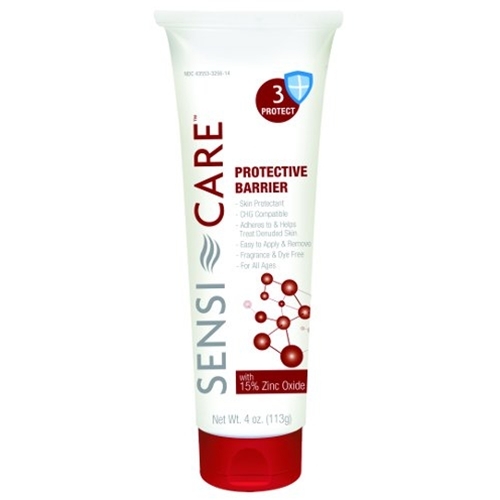 ConvaTec Sensi-Care Protective Barrier from HealthyKin.com provides extra protection for high-risk skin. This zinc oxide based barrier guards fragile and sensitive skin to help manage and prevent irritation due to incontinence. great product to prevent bed sores. Used this for diaper rash cream and only need 3 tubes a year its amazing!! Way better than all the others, the hospital used it so we just continued! !